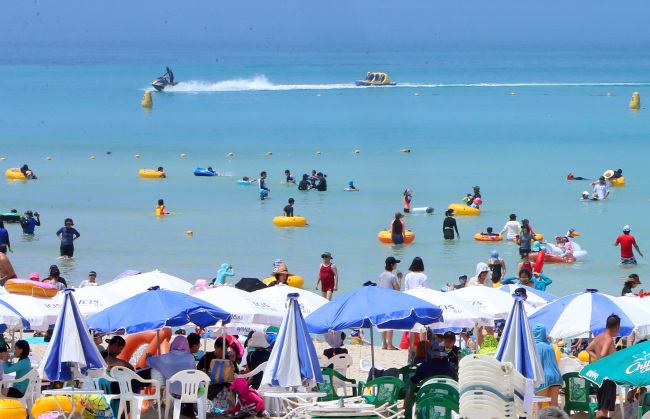 As the scorching weather continued over the weekend, people flocked to beaches in Korea to enjoy summer. 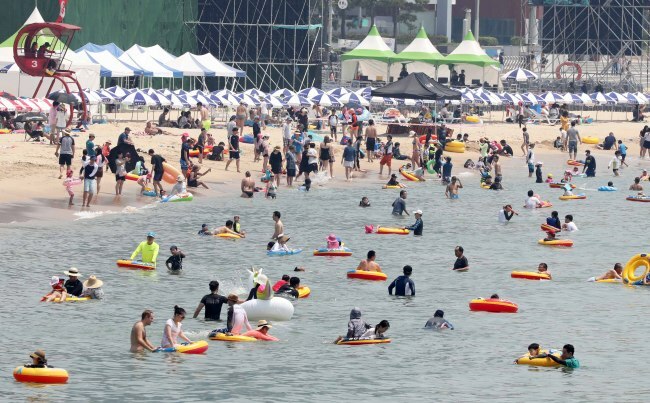 The Korea Meteorological Administration has issued heat wave warnings in most regions of the country, as of 2 p.m., with temperatures hovering around 30 to 37 degrees Celsius on Sunday. 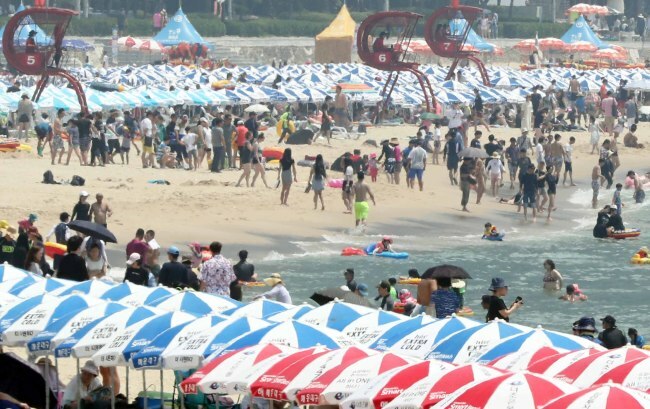 About 250,000 beachgoers visited Haeundae Beach on Saturday, while a total of 520,000 people going to other beaches in Busan, including Gwanganli Beach and Dadaepo Beach. The combined number nearly doubled compared to last weekend, which saw some 339,600 visitors. 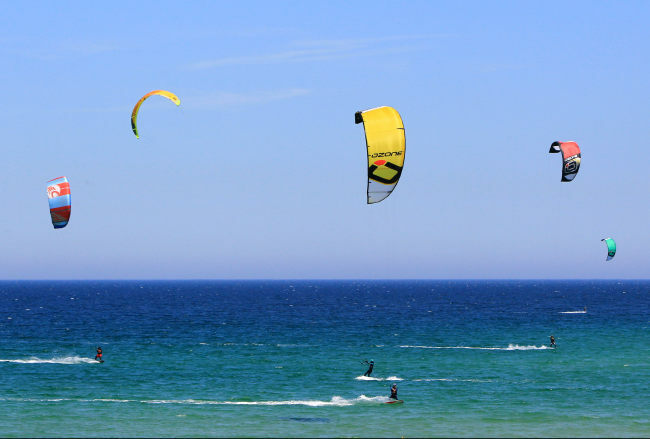 Beaches in Gangwon Province’s east coast area had some 150,000 visitors over the weekend, according to local media reports. 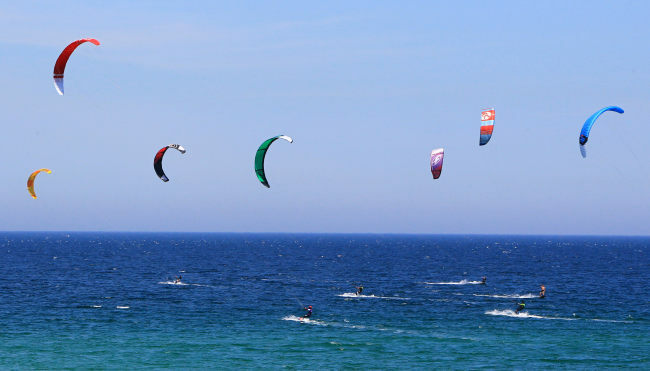 People kitesurfing near Songjeong Beach in Gangneung, Gangwon Province. 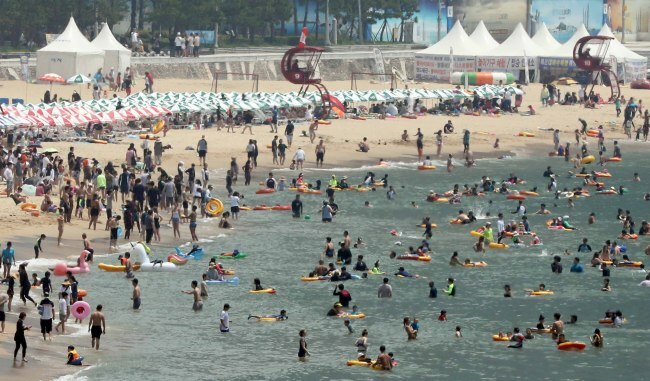 Beachgoers flock to Haeundae Beach amid the summer heat Sunday. 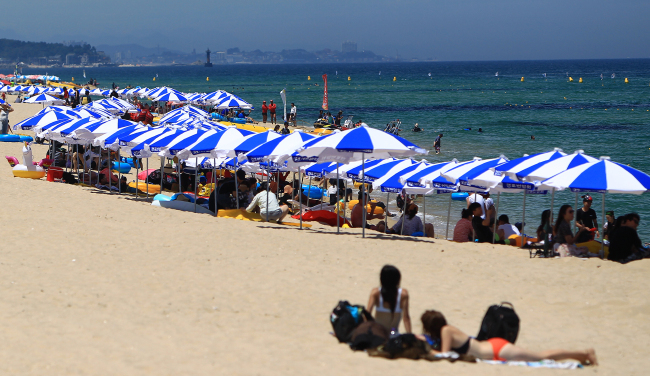 People rest under beach parasols on Gyeongpo Beach on Sunday. 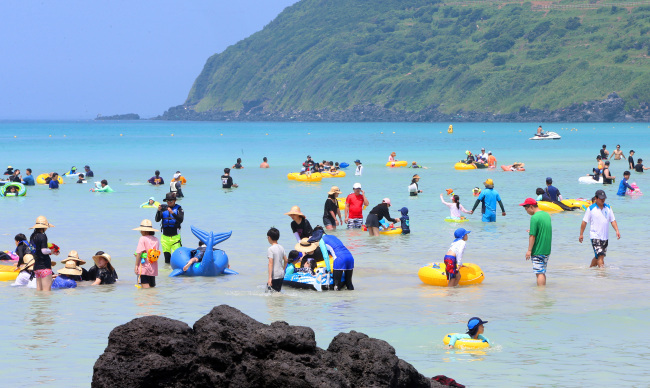 Families enjoy summer on Jeju Island.